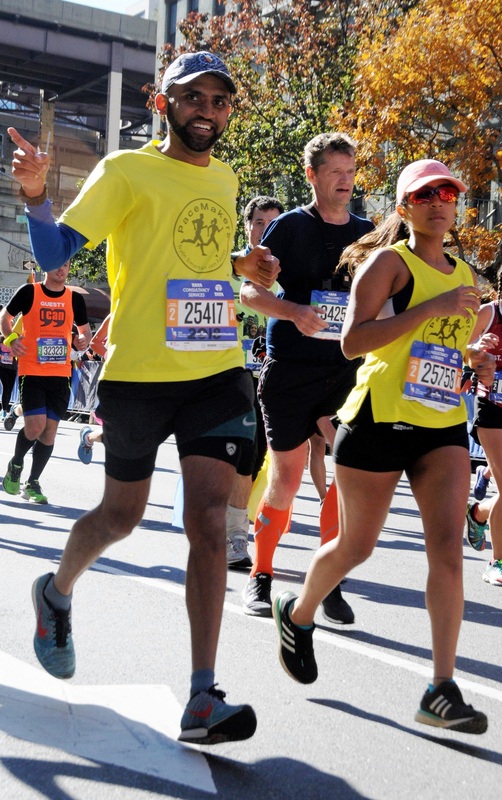 Crossing the finish line at New York was the most intense feeling ever. I started running five years ago. A friend introduced me to the sport. I can’t thank Karthik Anand enough for doing that. I have always wondered how people ran a full marathon; what drove them? From where did they get that kind of energy? Why did they run that distance? Being a runner – not a marathoner – I knew there was something about running and training for a marathon which drove millions across the world to do it and become marathoner. I never had the courage to try it. My runner friends would ask me: when are you taking the plunge to do a full marathon? I always responded: me? No way! The thought of the distance was enough to scare me. I don’t think I will ever be able to run a full marathon – that was my standard answer. I shared my fears with Karthik. He said, “ just stay focused and dedicated. You will finish super strong. I promise that.’’ He believed in me much more than I did. It pushed me to think: maybe I can. 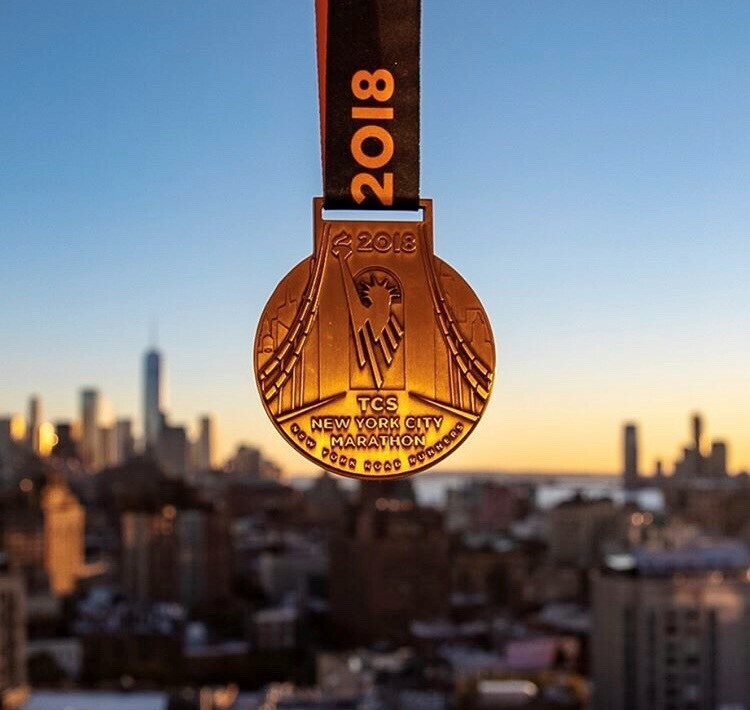 I registered for the TCS New York City Marathon in mid-March 2018. Although I train in Bengaluru with PaceMakers, under K.C. Kothandapani, I was always laid back when it came to training. I found excuses to miss the speed workout on the tracks and since I missed the most crucial training day of the week I always found it tough to do the tempo runs. Race after race I used to fail and I kept telling myself: this is not for me. Having registered for the New York Marathon, I realized I needed to up my game. Karthik decided to guide me since he was running the race too. He had already completed four of the World Marathon Majors. He began sending me my weekly running schedules after discussing it with the coach. The moment he donned his running gear, Karthik transformed from close friend to taskmaster. He wouldn’t take no for answer. Once the schedule was made, there were no discussions or changes; it had to be done. I started slow with about 65-70 km mileage per week. I was clearly told that pace should never be looked at especially in the initial months of training. That was a comfort. Week after week the mileage gradually increased. I dreaded Saturdays which were my long run-days. The distance was being stepped up week after week and I had to get used to being on my feet for a minimum of four and half hours. I remember days when I had my menstrual cycles. I could not even think of raising that as excuse for I was told examples of working mothers who were ace marathoners and who toiled relentlessly on the same roads. Time flew by. I was at the peak of my training when mileage was minimum 80 km per week. Karthik was there all through. It was not easy for a sub 4:30 minutes per km-runner to trot beside a 6:30 mins per km-runner. He sacrificed all his training runs for me. Before I knew we were in October and I had mere weeks of the most crucial runs left. In that time I had to do the race distance at the planned race pace. Officially the training had ended, the long runs, the intense speed workouts were all over. I was 3-4 weeks out from my marathon. That’s when I reached one of the most important parts of training – the taper. During the taper, weekly mileage is reduced in order to allow the body to rest and recover before a prolonged race. At this point in training, there is not much you can do to improve endurance or performance, but there is still plenty of time to overdo it and court injury. The taper is a very difficult time for most runners, as rest is not a concept they are used to. But it’s during this period that your muscles, damaged from long training season, get repaired. I had to reduce the weekly mileage gradually; each run got shorter but faster. The hard work was now over. I went to New York a week prior to the race to get acclimatized. I had never run in cold conditions. Kathik had set a realistic target for me – to complete the race within 4 hours 10 mins. He decided to make me run without my Garmin and I trusted my pacer. On race day, the elite runners started earlier than my wave. At 10.15 AM the Race Director said, “ Wave 2 – on your mark.’’ Boom; we were off. While I was running the first mile on the bridge, which is by the way the highest incline of the entire race, I felt everything from joy to anxiety. The first mile was intense. 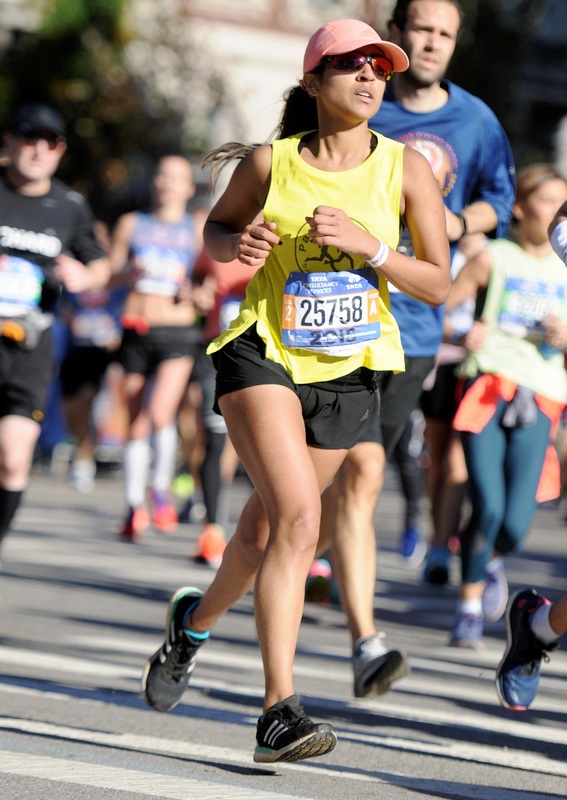 I realized that I was actually doing the New York Marathon. Entering Brooklyn after the bridge was like running through one of the biggest parties imaginable. I saw DJs and church choirs and people dancing and singing for the runners. Karthik made sure our pace was steady and easy. I told myself to save energy for the final six miles. I was flying. I had so much fun running from one big block-party to the next and also having my pacer boost my confidence. The 23rd km, I knew, was going to be an uphill and it was a tough one but we cruised through it. When is the fabled marathon wall coming? – I kept asking myself. Everytime we crossed the timing mat Karthik told me that folks back in India would be tracking at that very. It motivated me to now let anyone down, most of all – him. As we hit the 32 km-mark, Karthik reminded, “ Deeptha, your race starts now. You are doing fab. Just stick to what you are doing for the next five kilometers. This is the most crucial stage and this is where everyone takes a hit.’’ I began to feel the fatigue in my legs. But I knew 37th km onwards would be tough. I kept my mind prepared for. The course with its inclines was taking a toll and every muscle in my body was aching. You just want to see the damn finish line and cross it. But it’s not even close. I had no idea of the pace I was doing though in moments of silence Karthik asked me if I was comfortable. At the 40 km-mark when I touched the highest level of fatigue, he told me: you have 23 minutes left to do three kilometers and that would mean a sub-four finish. I had no words to express my joy and shock. At the 41 km-mark, where I needed a cheer the most, a runner friend cheered his lungs out for me. The finish in Central Park is something I will never forget. Few meters before the finish, I heard the announcer scream: India! I finished with a sense of satisfaction and pride. It is a moment I will cherish forever. I remember Karthik telling me “ you beast you killed it. You clocked 3:55.’’ Thank you Karthik; I owe this one to you. A huge shout-out to my coach, family and friends as well. Your training will never let you down – that is what most of them said. I could not agree more. Does running a marathon change your life? I’m not sure. It definitely changes you as a person; you evolve. Almost a week after the NYC Marathon, the runner’s high is still there. I feel mentally stronger today after running the marathon.